In the linked article, you will find a striking photo taken by Rosa. The photo appeared in an article entitled Doors Open: 10 Beautiful Doors From Across Canada in this month’s edition of “Our Canada” – a publication of Reader’s Digest. Scroll through to find Rosa’s photo. This article appears in the January, 2018 issue of More of Our Canada – a magazine published by Reader’s Digest. The reaction of several Tancook residents has been one of disappointment and even shock. While it is good to have our island recognized as “a balm for the soul” several statements in the article are far less flattering. One mystery to solve…Who is Claire with 7 jobs? After reading an article about Tancook in the January 2018 issue of the magazine “More of Our Canada”, several island residents wrote to the Editor to set the record straight about misinformation in the article. The following apology appeared in this month’s issue. A tiny community received a big award last week. Big Tancook Island is this year’s recipient of the Lieutenant Governor’s Community Spirit Award, which celebrates volunteerism and community engagement in Nova Scotia. The little village of just 200 permanent residents is an active group, working together, formally and informally, on a number of different issues. Rosa Cross, a permanent resident who is active in the community, says island residents share a mutual interest and love of the island and its long history, resulting in a team effort that supports the community. “Within our small community, many of our volunteers help on more than one association, so it is essential that we all work well together. Some of the best partnerships are the informal ones, the ones that get formed out of a mutual desire to accomplish something, whether it is a marketing plan for the island, a need for infrastructure improvements or how to maintain our emergency response services,” says Cross. Lt.-Gov. Arthur LeBlanc presented the award on Wednesday, Sept. 6, in a ceremony on the island, which sits on the outer edge of Mahone Bay. LeBlanc says he is pleased to present the community with such an important award. “Vibrant and caring communities are an outstanding characteristic of Nova Scotia and it is this community spirit that makes this province one of the finest places to live in Canada,” says LeBlanc. 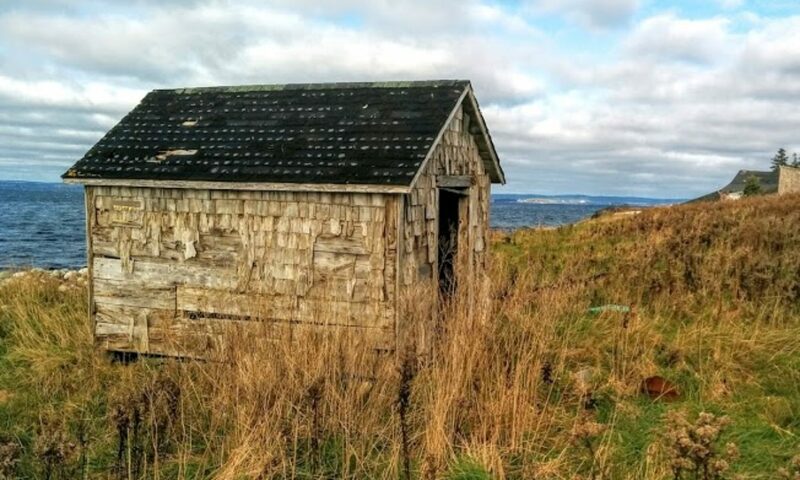 Residents of Big Tancook Island have come together through the years to maintain its one-room schoolhouse, continue and improve the ferry service to the island, encourage tourism, host local events and support emergency services. Many of the residents who live on the island and support the community can trace their heritage on Big Tancook back hundreds of years, and still pursue their livelihood through fishing and lobstering. Big Tancook Island will be awarded the Lieutenant Governor’s Community Spirit Award on Sept 6 at 11:00 am at the Tancook Recreation Centre. Below is the press release from the office of the Lt. Gov. Two Nova Scotia communities have earned this year’s Lieutenant Governor’s Community Spirit Award for their exemplary civic and community spirit. The award celebrates the power, strength and diversity of vibrant communities across the province. Up to four communities are honoured each year and are chosen by a selection committee based on community applications that best fit the award’s criteria. –Big Tancook Island, Lunenburg Co.
Hillary Dionne of the Big Tancook Island Community Association submitted an application in partnership with several other community organizations. They told stories of a small but resourceful island community that has great pride in its history and always works together. Charlene LeBlanc nominated the small fishing village of West Pubnico with the help of various community groups and highlighted the community’s vibrant Acadian heritage, strong citizen involvement and flair for innovation. Communities selected for the Lieutenant Governor’s Community Spirit Award will be honoured at upcoming community celebrations. Lt.-Gov. LeBlanc will attend the festivities to present an original piece of NovaScotian Crystal etched with a representation of each community’s story. For more information visit http://communityspiritaward.ca. A beautiful poster created by Marc Keelan Bishop who spent two weeks on the island in July with his wife and four children.